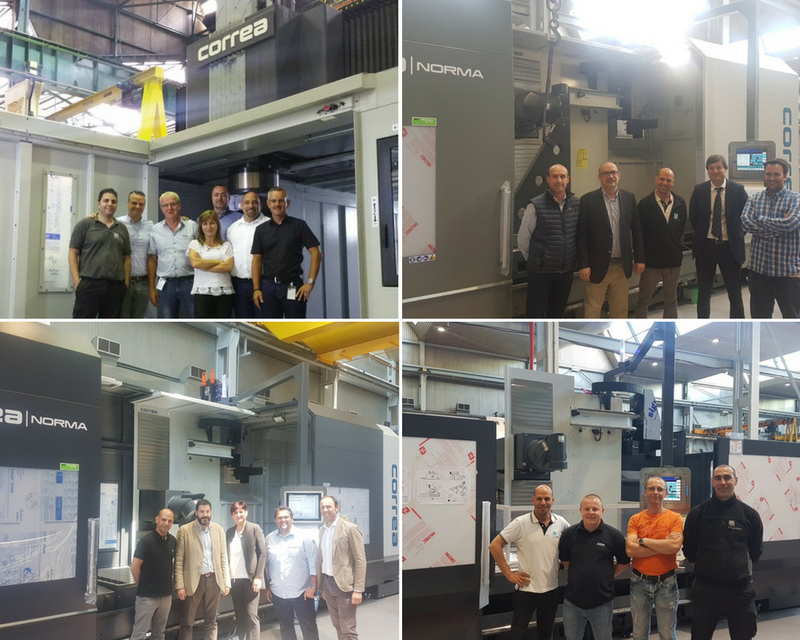 Nicolás Correa Group is successfully delivered some of the most emblematic machine models: NORMA and FOX have been the most selected milling machines by our customers in the last months. Our Italian customer Cosma SRL, working in the automotive sector from 1986, acquired a NORMA-35 from Hypatia plant. Cosma is focused on turnkey projects, 5 axes machining, turning and rectifying activities, construction and mechanic part production, among others. On the other hand, our Spanish customer Huercam received another NORMA-25. Huercam is specialised on the tooling design and manufacturing, as well as on the machining of elemental parts and components. A NORMA-25 has been, as well, the model selected by our Indian customer Shapers, part of the ARRK Group. Shapers is specialised on Prototyping, Tooling and Low Volume Production and it has production plants in France, Poland, India and China. One of the most demanded models from Correa milling machine range is the bridge type machine FOX. Our Spanish customer Mecanizados Especiales S.A. incorporated to its production plant a FOX-40 machine. This company has a well-known experience in the fixing and manufacturing of different type of parts for industrial machinery. The most recent acquisition was the one of our Dutch customer Saar-Metallwerke GmbH, who received a FOX-40 with full enclosure guarding, oil mist collector and 4 milling heads with an automatic changer for them. This company is focus on the processing of copper and copper alloys and selected steel materials and it is considered as one of the world’s technological market leaders.